We thank you Lord for the rich spiritual heritage of the United Kingdom, for the Godly foundations, and the miraculous interventions of the Father in past seasons. We thank you for the sacrifice of those that have given their lives for the freedom of the gospel and for those who carried God’s message from these shores. According to His word in Jeremiah 22:29 ‘O land, land, land, hear the word of the Lord,’ in the Name of Jesus, we speak to this land, to the fabric, foundation, DNA and Godly mandate of the United Kingdom, and we say righteousness will exalt you and we call you to rise up, to return to Your God and to lead the nations once more by Godly example. 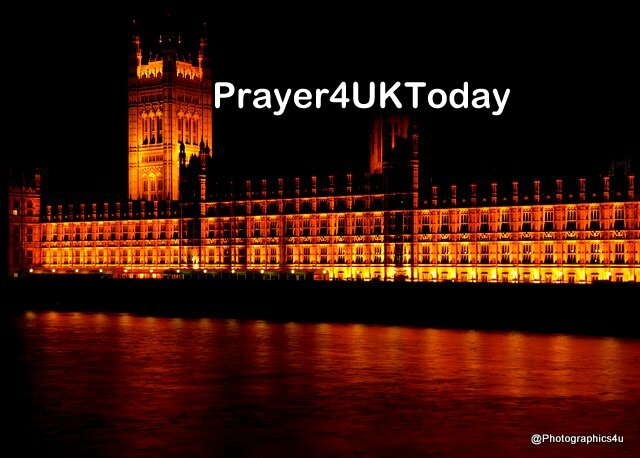 We declare the Name, the Rule and the Kingship of Jesus, over our leadership, over our Parliament and over the totality of the Brexit negotiations and we declare this nation will move according to Kingdom purpose and plan. We speak the release of the Spirit of Revival into our land, that many will encounter Jesus, turning the nation back to the heart of the Father.